If you wander down to the bottom of Deansgate you find yourself in a little haven away from the hustle and bustle in the peaceful district of Castlefield. Personally we've always been a fan of this area after renting there for a couple of years and getting married there too (there's some amazing spaces for wedding photos if anyone's planning a city centre wedding). 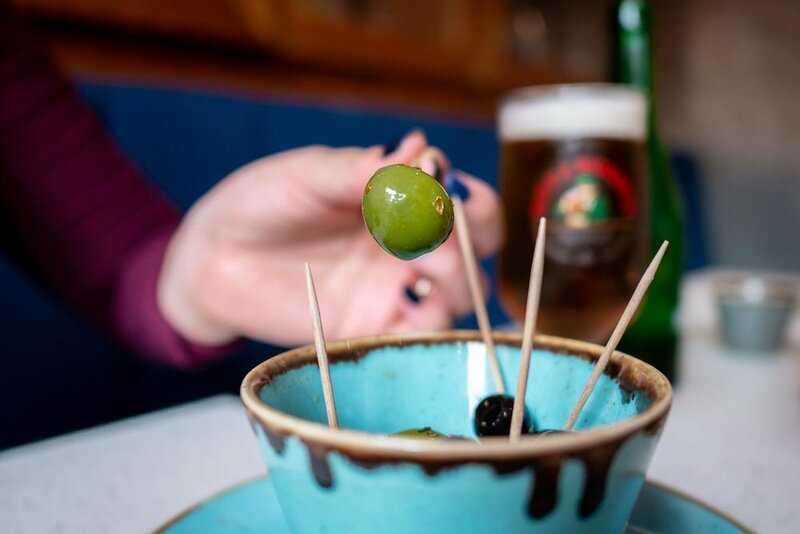 On the edge of that haven on Liverpool road (directly opposite the Hilton so you can't miss it) you'll find Cibo, a cute Italian restaurant that wouldn't look out of place in the Northern Quarter with its bright hipster restaurant front. 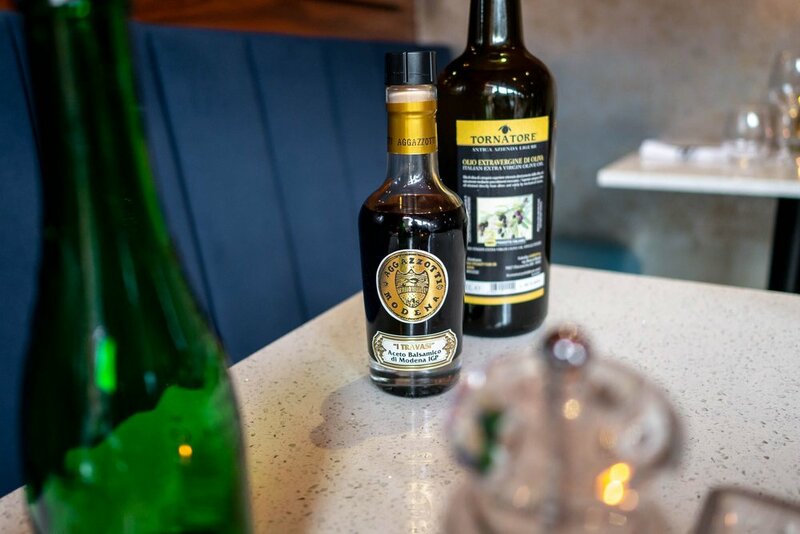 As part of the Don Giovanni group you can pretty much guarantee their offering is going to be good but as self confessed Italian restaurant avoiders (with an exception to Sugo of course) we really needed to be wowed! Their menu is pretty evenly spread across mains (expect lots of fish), pizzas and pasta. Being self confessed carb lovers the only area we were ever going to order from was the pasta section but let's start with the starters! Whilst we ummed and ahhed over all the options we nibbled on the still warm freshly baked bread and olives accompanied with the best bottles of balsamic and olive oil we've ever tasted - they're imported directly from Italy and set you back £40 a pop if you were to buy them yourselves (and they're well worth it if you ask us!). 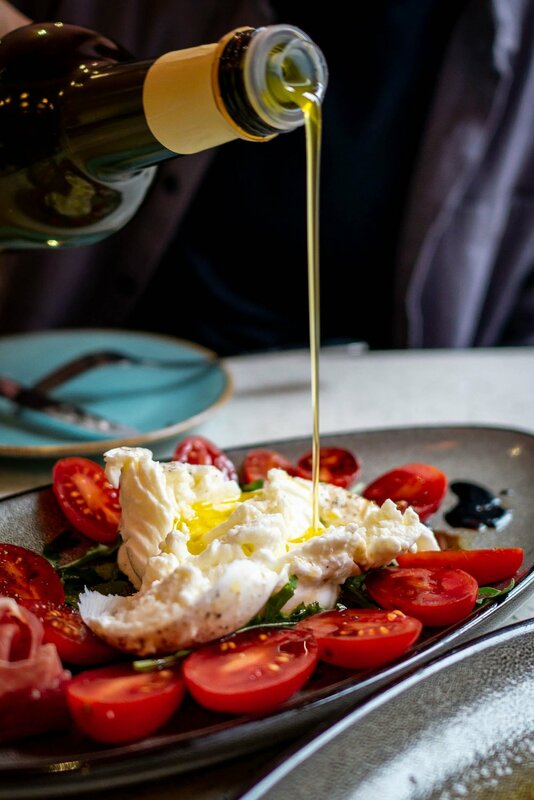 You have to order the caprese with vine tomato, our favourite cheese - burrata and San Danielle ham (we may have been persuaded to buy this just because of the namesake...), it's a classic and simple dish that's packed full of flavour whilst still being light and not over polarising before your mains. 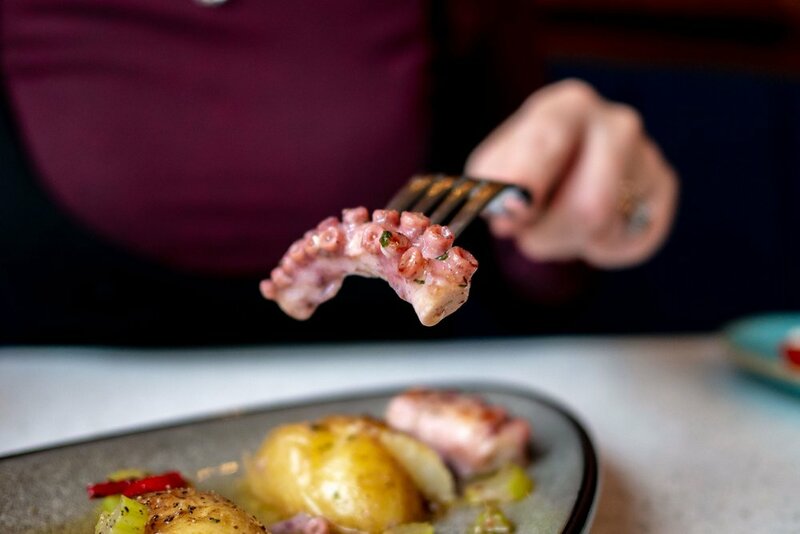 If you're a fan of octopus we'd also recommend ordering the polpo, which is pan fried and served with potatoes, celery and chilli - we order this in every Spanish restaurant and it was very similar to its Spanish cousin. The pasta dishes are difficult to choose from as we literally wanted to sample every dish but we were very happy with the two we settled on which we're the lobster ravioli and the nduja gnocchi (okay not technically pasta but it's served with burrata and we can't turn that down as we discussed earlier!). 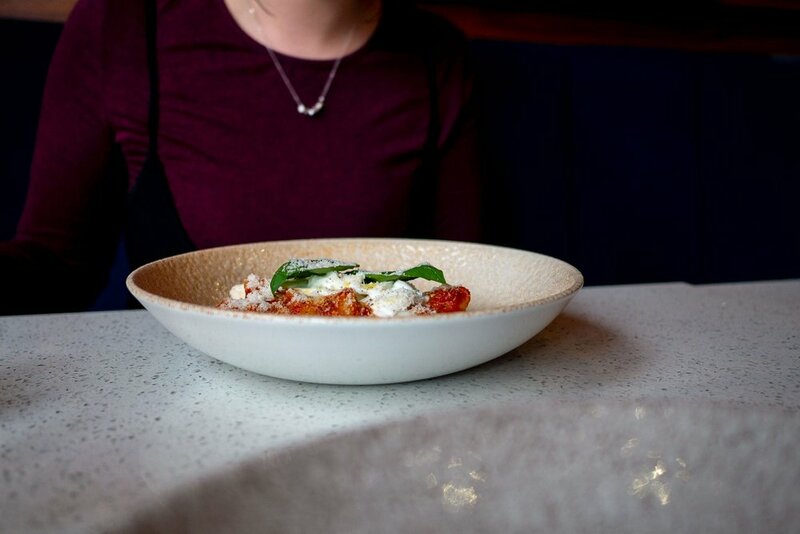 The lobster ravioli is a surprisingly big dish - so many times we've ordered ravioli to find 3 lonely ravioli parcels, honestly what's that about?? 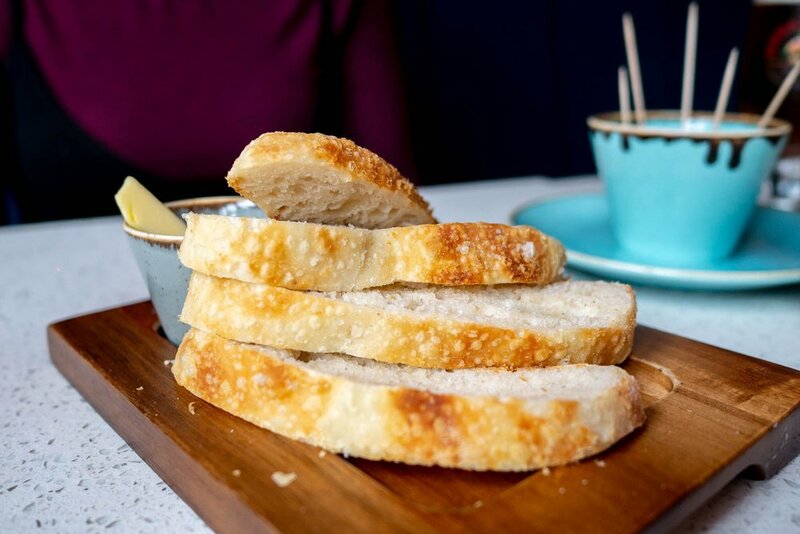 Deliciously creamy and rich, even tastier when you've loaded it up with fresh Parmesan. 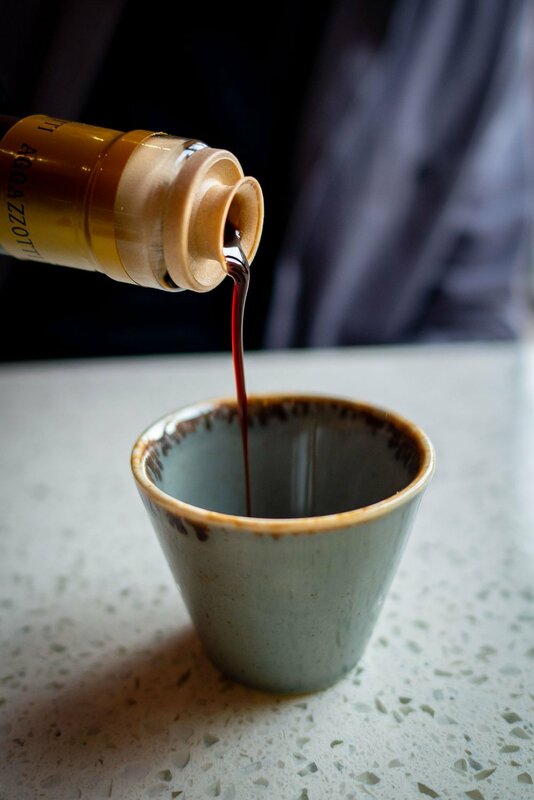 If you can see affogato on a menu and NOT order it you're a better person than us. 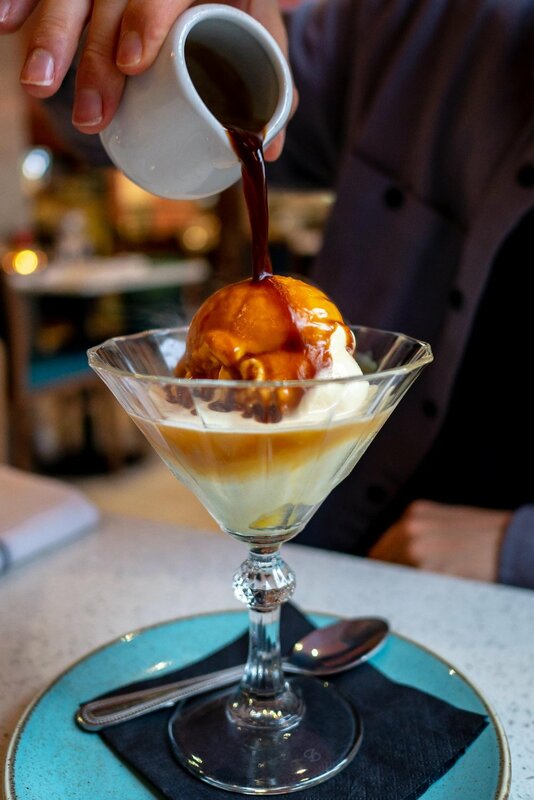 Neither of us are massive dessert lovers (don't get us wrong we love a good sticky toffee or a nice cheese cake but we'd always order starters over desserts) but we have a super soft spot for the dreamy combination of espresso, ice cream and amaretto and the affogatos at Cibo are no exception! 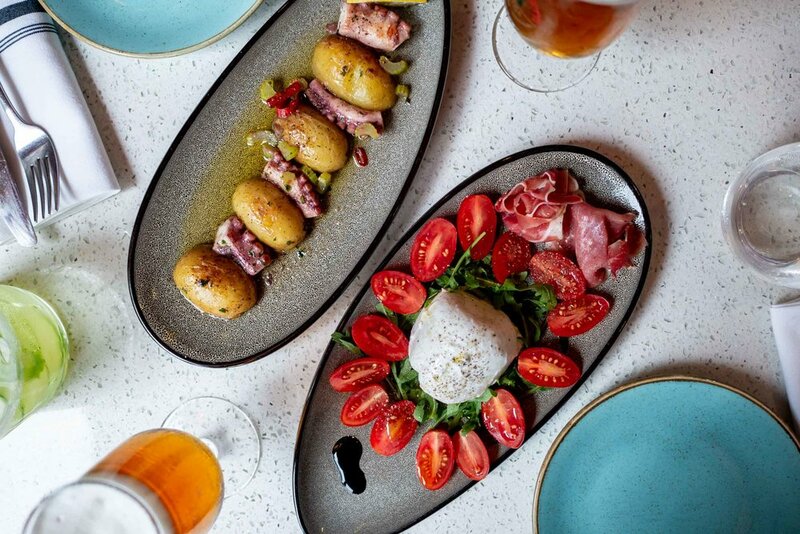 We loved our visit to Cibo and if it's enough to convert this duo of anti Italian restaurant lovers then it's good enough for anyone! During August they're offering 50% off all food so if you fancy giving it a go now is the best time.